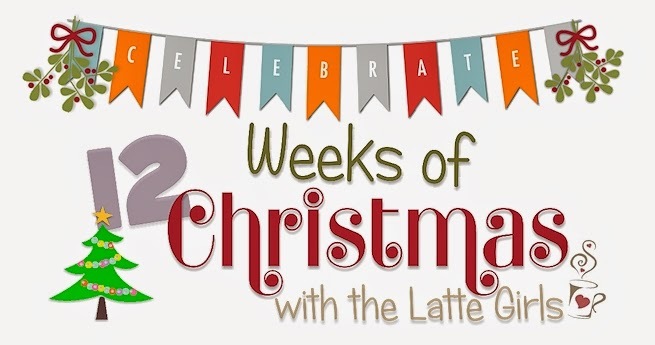 Week 10 of our 12 Weeks of Christmas. That can only mean that Christmas is getting very close – which is a scary thought! Today I bring you another project in our 12 Weeks of Christmas series, this time from Jenny Hayward. I hope you like this project. Today Jenny brings you a Tag A Bag Gift Box and matching card. For this she has punched a strip of Real Red Cardstock with the Confetti Stars Border Punch, wrapped around a strip of the Nordic Noel DSP and tied around some Real Red Satin Ribbon. She has the tutorial below. The cute tag is simply a number of stars cut with the Stars Framelits from Gold Foil, Garden Green and Real Red. In the centre of the smallest star I added a single Gold sequin and added a small pearl coloured with the “red” colour in the Cherry Cobbler Blendabilities pack. She added a length of the Gold Sequin Trim behind the star. The greeting is from Petite Pairs and cut using the Bitty Banners Framelits. She made a matching card to go with the box. She cut a large star from the Whisper White card and adhered some of the same Nordic Noel DSP behind it. Then layered stars in Gold Foil, Garden Green and Real Red to match the box although these were slightly smaller. The smaller red star is punched from the Itty Bitty Accents punch set. She added a single Gold sequin and coloured Adhesive Pearl to this too. The greeting is from the Bright and Beautiful set stamped in Real Red. She wrapped around some Real Red Satin Ribbon and added a bow separately. So much easier to add the bow separately. It sits so much better. She always has a tussle with the card and the ribbon. ;) She finished it off with some single Gold sequins around the card. Run adhesive along the back of your card strip with adhesive of your choice. Jenny used Fast Fuse. Place the middle of your card strip at the centre of the top surface on the Acetate sleeve for the box and adhere down. Wrap the cardstock around the sleeve adhering each side as you go. TIP: When you wrap the cardstock around each side run the Bone Folder along the edge to give a crisper fold. Check it out in the photo how Jenny has done it. Your price with 10% off is $53. Only available by ordering through me directly not through my Online store. So please email me at narelle@simplystampingwithnarelle.com to place your order. Aren't these just the cutest boxes. And so quick to fancy up. They would be perfect for all those small gifts you have to give to teachers, coaches, baby sitters and the like. So make sure you order yours soon so that you have enough time to decorate them before the gift giving season really hits us.